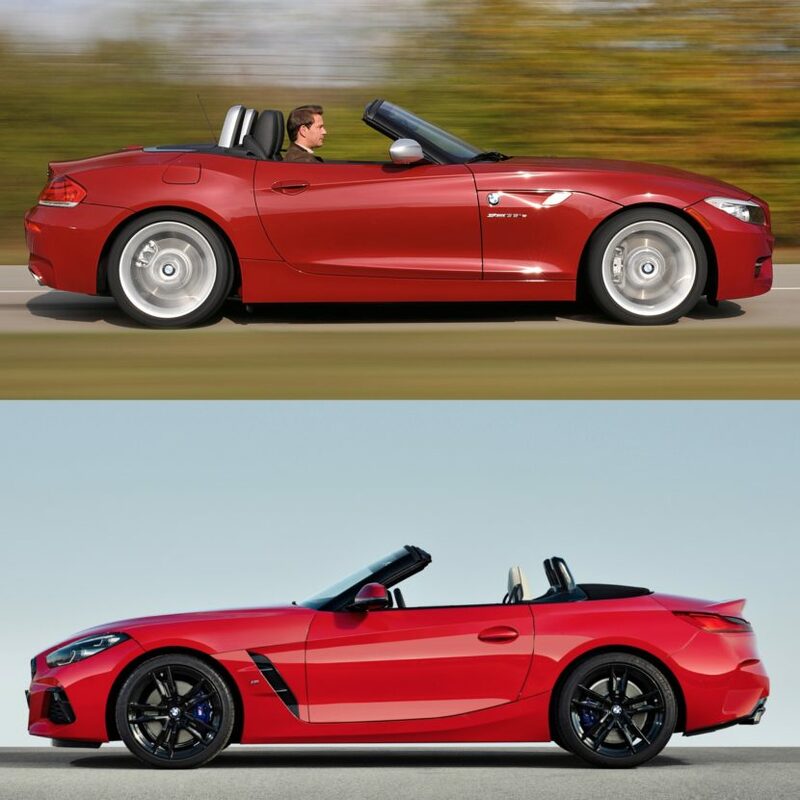 The brand-new G29 BMW Z4 M40i just made its official debut at Pebble Beach, marking the third generation of Z4 and sixth generation of BMW ‘Z’ cars. It’s a very interesting new car for BMW, as it’s based on an all-new chassis that’s been co-developed with Toyota and the upcoming Supra. It’s also a rather controversial car, as its styling has drawn mixed reviews from fans and enthusiasts. Some love it, some hate it. A lot of those opinions are drawn from comparisons with its direct predecessor, being that car was relatively controversial itself. So we thought we’d compare the two back-to-back and see how they stack up. Despite sharing the same name, these two cars couldn’t look more different. Not only to they look like they come from different eras but they look like they could come from different brands. The older of the two, the E89 Z4, still looks modern in isolation, it sill looks like a car that could be sold today. When compared to the new car, though, you can tell how dated it is. 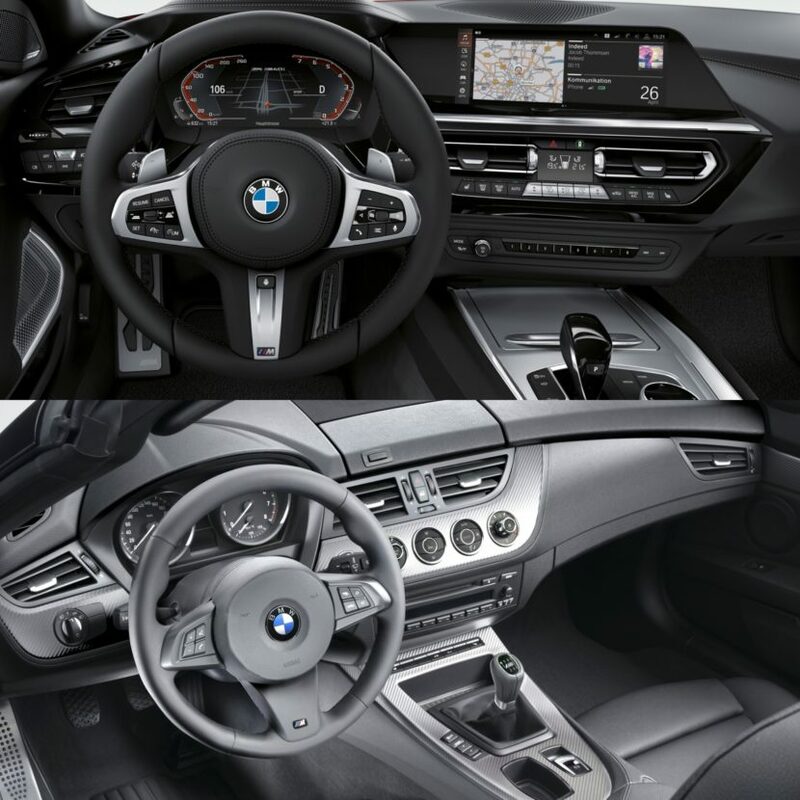 Up front, I don’t think there’s any question — the E89 Z4 is the prettier car of the two but the new G29 is the sportier car. The former features swooping lines, a flowing hood, mustache-like Kidney Grilles and angelic headlights. However, the G29 features angular, aggressive and in-your-face everything. It’s punchy and mean looking. Personally, I like the new one more but I can completely understand why enthusiasts prefer the look of the old car. In profile, both cars are great looking. The E89 Z4 is, again, very pretty, with sweeping lines, muscular looking rear haunches, short rear deck and long, flowing hoodline. Also, the highest point on its hood is at its wheel arches, which makes for a very pretty design. 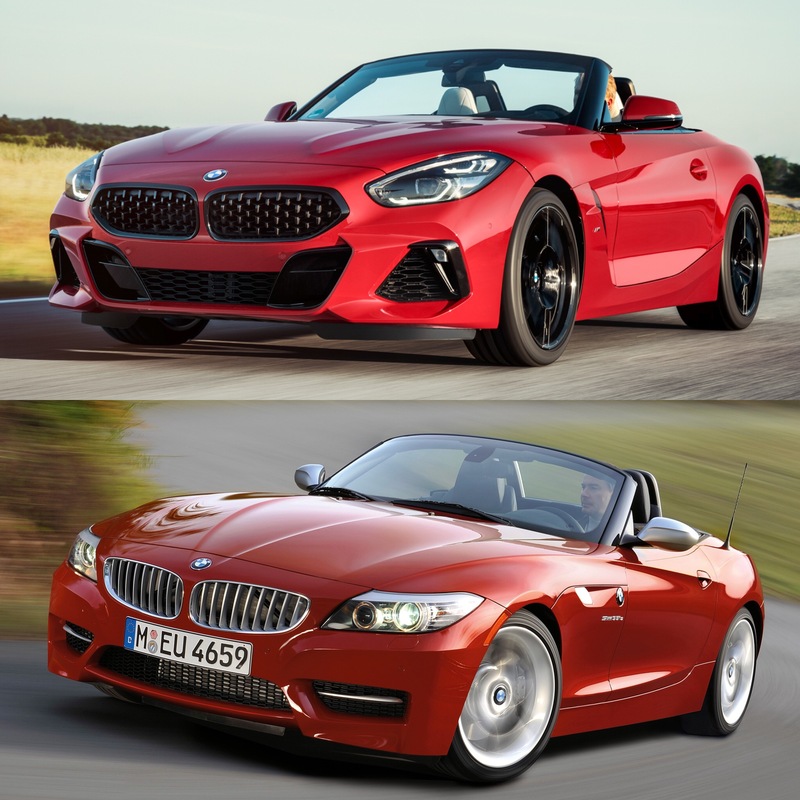 The new G29 BMW Z4 is stubbier, flatter and more angular. It features sharper, crisper creases in its sheet metal and much more aggressive features. However, I just now realized why I love the new G29 Z4’s styling so much. In profile, it looks like my favorite modern roadster and the one of the most enjoyable cars I’ve ever driven — the Mercedes-Benz SLS AMG Roadster. Out back, the new G29 BMW Z4 is much flatter, wider and lower looking. That makes it look and feel sportier, more athletic. The old E89 is pretty but it’s starting to look dated, a bit Bangle-y. Inside, there’s no comparison. 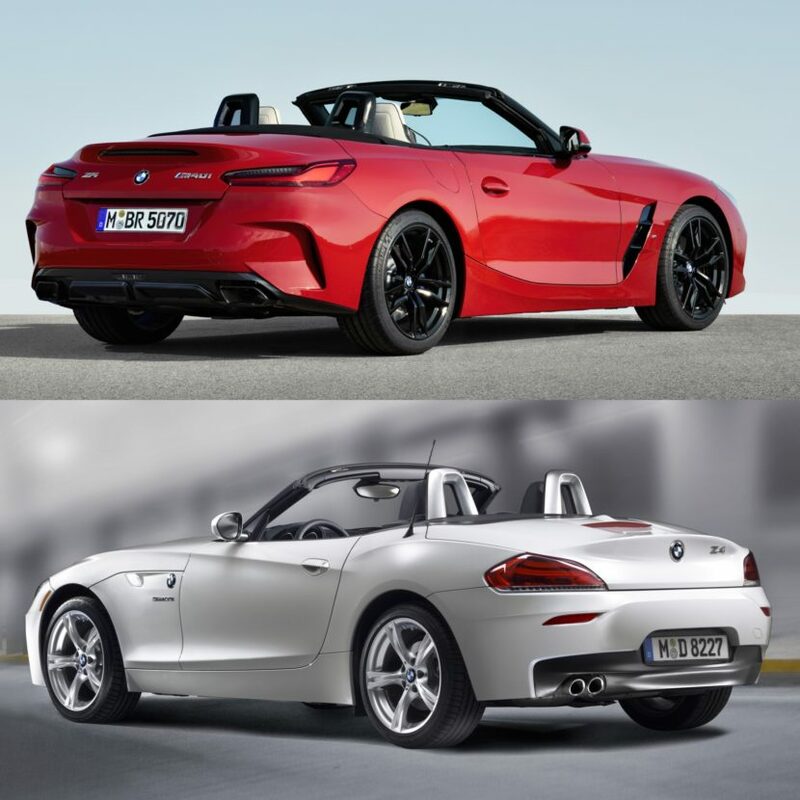 The new BMW Z4 is more modern in every single way, obviously, and it looks much sportier. Although, the new one doesn’t come with a manual, which is a shame. All in all, it’s really hard to say one is better looking than the other when they’re so different. 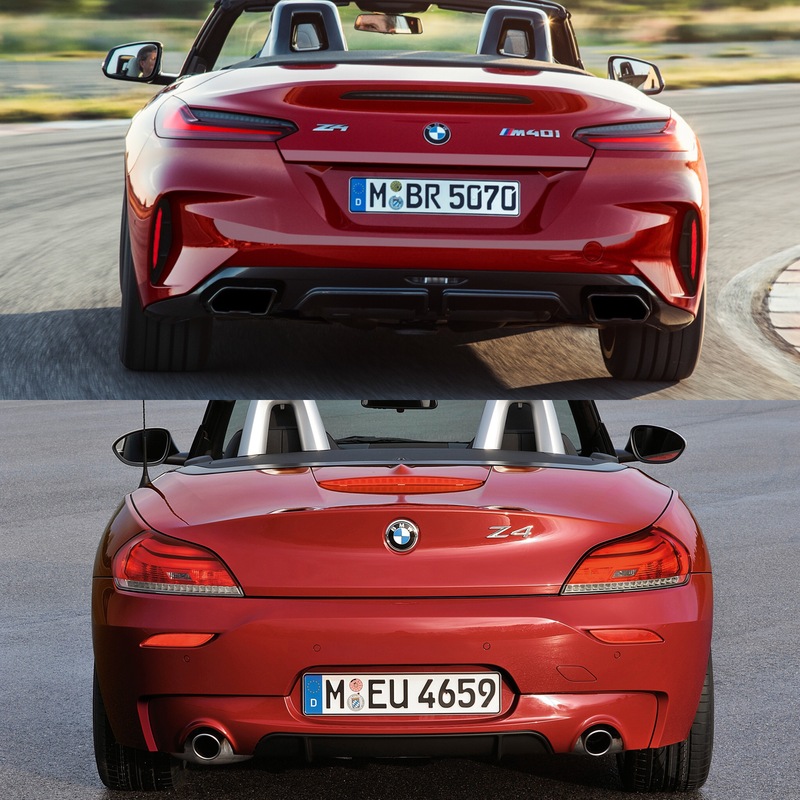 The old E89 BMW Z4 is a very pretty, very classic looking roadster that looks as if it’s been designed to be a stylish cruiser. 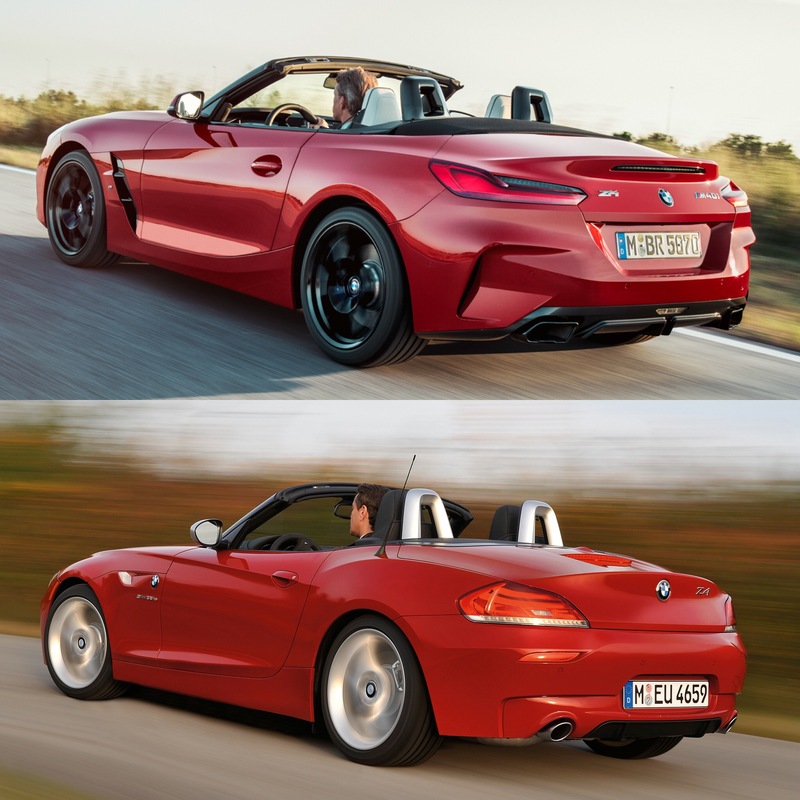 While the new G29 BMW Z4 looks far sportier, more aggressive and much angrier. 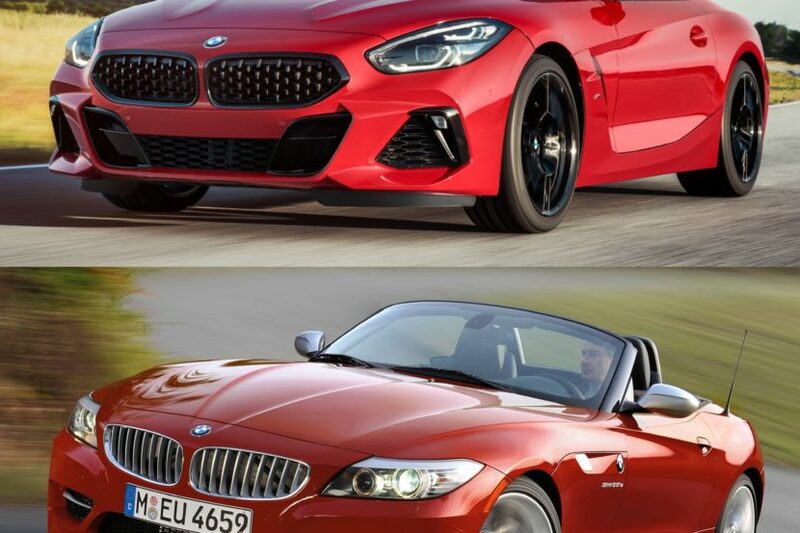 Personally, I like the new Z4 better, because I like a more aggressive looking car. But I can’t really argue anyone who likes the E89 due to its classic and pretty good looks.